LUMPENPROLETARIAT—Three cheers for those, who are out there working for true democracy and election integrity. Evidently, just going to our jobs every day and taking care of our families is not enough to effect true, participatory, democracy. We do not have a democratic society. It is obvious that there are many things wrong with our American election process, some of them are deliberate acts of voter suppression. Voter ID laws, for example, have disproportionately hurt non-white voters’ ability to participate, or perhaps we should say voters with non-European, waspy names. Ask Greg Palast and others. Election crimes abound. UPFRONT—[28 NOV 2016] Recounting the Presidential Vote. 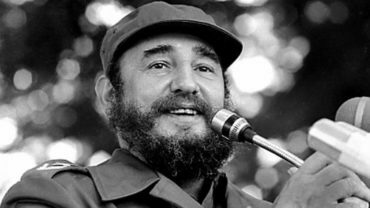 And Fidel Castro: Voice of the Third World. FLASHPOINTS—[28 NOV 2016] Gloria La Riva on Fidel from Havana. Election Crimes Bulletin. Many liberals and progressives, or radicals, often say: Well, electoral politics is all corrupt. We should just focus on our street activism and ‘push’ the Democratic Party toward a progressive or radical agenda. But we often forget that electoral politics are always important because they represent the competing collective wills of the people: ‘conservative’, ‘liberal’, ‘progressive’, ‘socialist’, ‘communist’, ‘libertarian’, ‘anarchist’, etc. Even the Cuban Revolution benefited from electoral politics, student movements, and popular opposition to the status quo. But, if we only allow for two political parties, we have no political competition. We have a political cartel, which effectively manages public dissent and discontent with the status quo. Terrestrial radio transmission, 94.1 FM (KPFA, Berkeley, CA) with online simulcast and digital archiving: UpFront, this one-hour broadcast hosted by Mitch Jeserich, Wednesday, 28 NOV 2016, 07:00 PST. Terrestrial radio transmission, 94.1 FM (KPFA, Berkeley, CA) with online simulcast and digital archiving: Letters and Politics, this one-hour broadcast hosted by Mitch Jeserich, Wednesday, 28 NOV 2016, 10:00 PST. 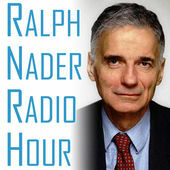 Terrestrial radio transmission, 94.1 FM (KPFA, Berkeley, CA) with online simulcast and digital archiving: Ralph Nader Radio Hour, this one-hour broadcast co-hosted by Ralph Nader and company, Wednesday, 28 NOV 2016, 11:00 PST. Terrestrial radio transmission, 94.1 FM (KPFA, Berkeley, CA) with online simulcast and digital archiving: Flashpoints, this one-hour broadcast hosted by Dennis Bernstein, Wednesday, 28 NOV 2016, 17:00 PST.